In response to urgent requirements for the cause of resistance war and national reconstruction, President Ho Chi Minh made an “Appeal for Patriotic Emulation” on 11th, June 1948. He emphasized “Patriots must emulate. And emulators are the most patriotic”. Imbued with that thought, since then, Border Guard has actively, proactively and creatively grasped and carried out emulation movements, giving a widespread impetus to the implementation of border affairs, contributing to firmly managing and protecting border sovereignty and security, and successfully accomplishing political tasks assigned by the Party, State, Army and people. During the anti-American resistance war for national salvation, cadres and soldiers of the Border Guard emulated in scoring numerous feats of arms on all fronts such as combating spies, rangers, bandits, and sabotage activities by reactionary forces in the American destructive war in northern Vietnam; participated in defending the provisional military demarcation line and aided the Southern battlefield, contributing greatly to glorious victory of national liberation revolution and reunification. Over the period of Homeland construction and protection, particularly over the past 30 years of national renewal process, under the leadership of the Party, Central Military Commission and Ministry of NationalDefence, the Border Guard has promoted its tradition and sense of solidarity and unity and actively emulated in successfully accomplishing its tasks of managing and defending national border sovereignty and security. In the process of launching emulation movements, Border Guard Party Committee and High Command have thoroughly grasped resolutions and directives by the Party, State, Central Military Commission, Ministry of NationalDefence, and directions by General Department of Politics on commendation and emulation work as a basis for drastically and synchronously implementing appropriate measures in tune with its affiliates’ particularities, thereby contributing to providing additional and widespread stimulus to its commendation and emulation work and “Determined to win” emulation movement . In terms of management and protection of border sovereignty and security, the Determined to win Emulation movement has stirred up and enhanced cadres and soldiers’ proactiveness and creativity in heightening their political will, sense of responsibility, morality, lifestyle, competence, and combat readiness capability. In the implementation process, its affiliates have closely cooperated with local party committees, governments, competent authorities, and ethnic minority compatriots in border, sea, and island areas in properly executing the movement “All people take part in safeguarding national border sovereignty and security in the new situation” and bringing into full play synergy of the entire political system, armed forces and people of all strata, of which the Border Guard acts as the core. The Border Guard has focused its emulation movements and campaigns on accurately analysing and grasping border area situations, proactively making plans pertaining to combating espionage and reactionary activities and preventing cross-border crimes whilst attaching great value to reforming the work of checking and controlling entry-and-exit activities in line with neighbouring countries and Vietnam’s laws and international regulations and particularities of every border gate and area. The realities of the Determined to win Emulation movement has unearthed many outstanding individuals who genuinely represent “Uncle Ho’s Soldiers’ virtues, brainpower, and bravery and revolutionary heroism in the protection of national border sovereignty and security. In terms of building comprehensively strong boundary areas, the Border Guard’s affiliates have actively participated in socio-economic development in strategic, isolated, remote, border, and island areas; consolidated and fostered the operational effectiveness of political system at grassroots level; helped people construct efficient models of production, contributing to implementing national programs and targets for hunger eradication and poverty alleviation. Thanks to emulation movements such as “the Border Guard makes joint efforts to build new-type rural areas”; “offering financial aid to schoolchildren”, etc., blood relationships between border guard soldiers and ethnic minority compatriots have been reinforced; the Party’s guidelines and policies have been widely propagated amongst compatriots in isolated, remote, border, and island areas, thereby creating profound transformation in their awareness and action, contributing to promoting virtues of “Uncle Ho’s soldiers” through familiar names such as “soldiers of border hamlets”, “children of villages”, “teachers and doctors with green epaulette”, etc. In addition, various emulation movements and action programs by the Border Guard have contributed to effectively carrying out border external affairs via practical models such as twinning activities between Vietnam’s border posts and neighbouring countries’ border guard units; between Vietnam’s border communes and neighbouring countries’ ones; and between Vietnam’s border hamlets and neighbouring countries’ ones through which they assist one another in building and developing economic potential and maintaining security and order in boundary areas, contributing to building border areas for peace, friendship, and mutual cooperation and development. Additionally, the “Determined to win” Emulation movement acts as a key driver of building revolutionary, regular, elite, and gradually modern Border Guard, meeting mission requirements in the new situation. Grounded in firmly grasping and seriously executing resolutions and directives by Central Military Commission and Ministry of National Defence on building comprehensively strong units, the “Determined to win” Emulation movement has incentivized cadres and soldiers of the Border Guard to zealously cultivate and enhance their virtues, professional competency, and combat readiness capabilities, etc. Emulation movements have made a major breakthrough in streamlining organization, promoting training and education work and maintaining logistical and technical work amongst the Border Guard’s offices and units. Notably, the Border Guard has directed those highly original emulation movements towards its grassroots units and stationed areas; closely combined emulation movements within its affiliates from central to local ones while constantly collaborating with local party committees and governments in properly undertaking preliminary and overall assessment and opportunely honouring and rewarding outstanding individuals and collectives, thereby contributing greatly to building politically, ideologically, and organizationally strong border guard offices and units with seasoned border professionalism and a good grasp of their stationed area situations. It would be fair to say that the “Determined to win” Emulation movement has discovered thousands of outstanding individuals and collectives who have motivated the Border Guard to successfully accomplish every task in both the struggle for national liberation and the cause of Homeland building and protection. In the years to come, the task of building the Army and consolidating national defence will impose demanding requirements on the whole Army in general and the Border Guard in particular. To bring every assigned task to fruition, offices and units within the Border Guard need to continue to accelerate the “Determined to win” Emulation movement in tune with President Ho Chi Minh’s thought on patriotic emulation via original, drastic and synchronous measures, giving a fresh impetus to managing and defending border sovereignty and security in the new situation. To this end, following solutions should be taken into account. First, party committees and commandants at all levels concentrate their leadership and direction on promoting commendation and emulation work and the “Determined to win” Emulation movement. The responsibilities of party committees, key cadres and competent offices and the role of all-level emulation councils should be strengthened in creatively applying President Ho Chi Minh’s Appeal for Patriotic Emulation to commendation and emulation work and the “Determined to win” Emulation movement, which acts as a determinant to the quality of commendation and emulation work as well as to the effectiveness of the “Determined to win” Emulation movement. Second, the work of propagation and education should be fostered to raise cadres, soldiers, and ethnic minority compatriots’ awareness of significance and necessity of commendation and emulation work and the implementation of Uncle Ho’s Appeal for Patriotic Emulation. That is to say emulation not only enables every individual and organization to progress more rapidly, but allows every task to be implemented more swiftly and efficiently. In the implementation process, it is necessary to attach great value to multiplying examples of “good people and deeds” as a means to build the Party and revolutionary organizations as well as new people and life”. Third, actively reforming the execution of the “Determined to win” Emulation movement within the Border Guard. The continuous evolution of the reality leads to a fact that contents, forms, and methods of emulation movements should be suitably innovated so that they are squared with offices and units’ particularities and soldiers’ aspirations and psychology, thereby promoting maximum strength by cadres and soldiers of the Border Guard and compatriots in border areas. 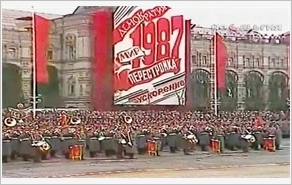 In the implementation process, offices and units need to align the “Determined to win” Emulation movement with widespread movements and campaigns, namely “promoting tradition, devoting talents, deserving to be Uncle Ho’s soldiers”; “the Border Guard make joint effort to build new-type rural areas”; Directive No.5 by the Politburo (12th tenure) on accelerating the study and following of Uncle Ho’s thought, morality, and lifestyle”; Resolution of the 4th Plenum of the Party Central Committee (12th tenure) on Party building and rectification, etc. Fourth, proactively and actively unearthing, cultivating, and multiplying outstanding individuals. Over the past years, the ongoing “Determined to win” Emulation movement of the Border Guard has spotted outstanding individuals and innovative models and practices. Every outstanding individual and collective must be properly selected, cultivated, and multiplied. The value and vitality of emulation movements has contributed greatly to multiplying examples of good people and deeds whose motivation facilitates the successful implementation of border posts and sub-posts’ missions. Fifth, closely combining emulation work with commendation work. Emulation work sets criteria for commendation work; the latter acts as a key driver of the former. When it comes to the work of preliminary and overall assessment for emulation movements and campaigns, offices and units need to focus their leadership and direction on properly and objectively conducting commendation procedure so as to incentivize units and individuals in emulation movements. Simultaneously, it is necessary to resolutely combat negative practices in commendation work in order to create a healthy emulation environment, thereby genuinely encouraging the Border Guard’s cadres and soldiers to successfully accomplish their mission of firmly safeguarding national border sovereignty and security in the new situation.